Art gift idea: Create a tropical holiday with "A Day Without Wine - Sangria", a beautiful pitcher with mixers and a basket of fruit. 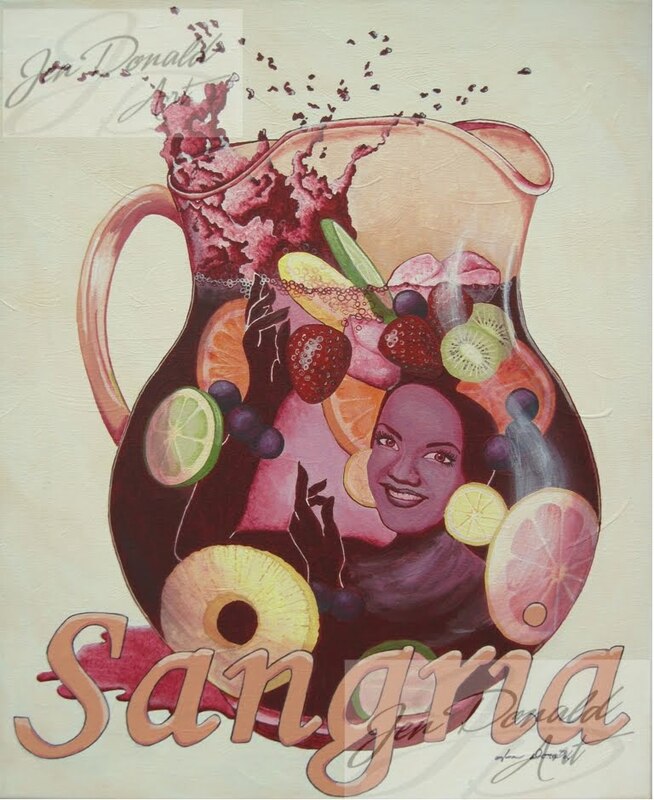 Fifth painting in my "A Day Without Wine" series, "Sangria" splashes with fruity fun. 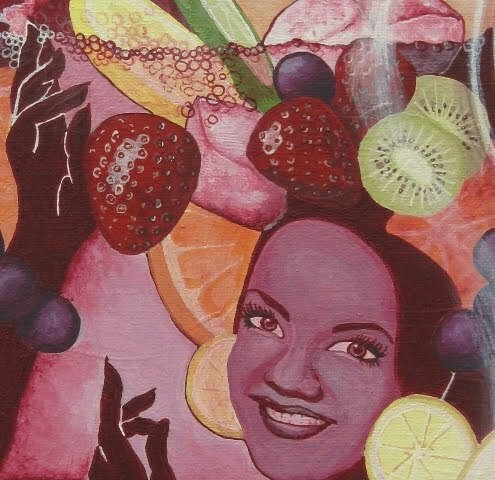 I had originally planned for Carmen Miranda to be in one of the wine glasses, but my niece suggested sangria. I truly enjoyed the challenge of making her appear complete with her fruit hat. This is the original concept and sketch I came up with.